Douglas & Carter routinely helps individuals who have received traumatic brain injury caused by another person’s negligence. To strengthen our clients’ cases, we work closely with neurologists and other experts to stay current on the latest developments in the diagnosis and treatment of brain injuries. According to a new study just out of the Journal of the American Medical Association, the risk of committing suicide significantly increases within six months after suffering from a brain injury, especially traumatic brain injuries, where there is evidence of structural brain damage. 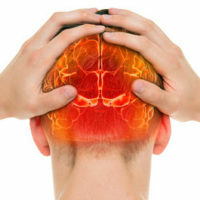 In other words, individuals who suffer a catastrophic injury as significant as a brain injury not only have to deal with the medical expenses, recovery, and permanent damage associated the brain injury, but also the emotional turmoil that the injury can cause, which may take the form of depression and emotional distress afterwards, according to these latest study results. Researchers studied nearly 35,000 deaths by suicide over a 35-year period and found that more than 10 percent of those who committed suicide had previously (and recently) seen a physician for incurring a mild or severe traumatic brain injury, such as a concussion or something more serious. They also found that the suicide risk was more than threefold higher during the first six months after an injury such as a concussion and lasted as long as two years after the injury. One of the most serious conditions that has been linked to incurring repeated concussions and suffering from depression and other behavioral abnormalities is chronic traumatic encephalopathy (CTE). CTE is a neurodegenerative disease linked to repetitive head trauma and most notoriously linked to football players and other athletes; some of whom have been in the news headlines in association with criminal charges and subsequent suicide. The result of what researchers know about CTE has led to investigative reports, rule changes, and brain injury lawsuit settlements brought against the NFL for hundreds of millions of dollars in connection with the many lives ruined, especially by those who incurred brain injuries while playing the sport and committed suicide as a result. Sadly, CTE is by no means limited to professional NFL players: the physical effects of traumatic brain injuries have been documented in high school and college athletes as well. If you or a loved one has suffered from a traumatic brain injury, it is crucial that you avoid minimizing the injury and failing to receive a proper assessment and diagnosis regarding what the obvious/physical effects—as well as the hidden/emotional effects—are as a result of the injury. At Douglas & Carter, our Jacksonville & Lake City injury attorneys regularly help families and individuals who have suffered as the result of a brain or other catastrophic injury suffered due to someone else’s negligent or intentional act. Contact us today to find out how we can help you.